Greenhouse has come out with a titchy FM transmitter for the second-generation iPod nano. The GH-FTC-IPOD2N comes with the longest name ever and weighs just 0.35 ounces (10 grams). Available in five colors, it also comes with its own car charger. 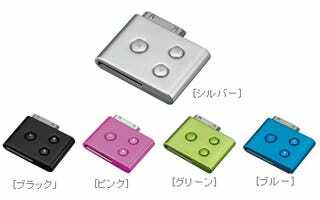 It costs $30 in Japan now, but given the iPod craze, it won't be long before it hits the world like a son-of-Godzilla Nano.